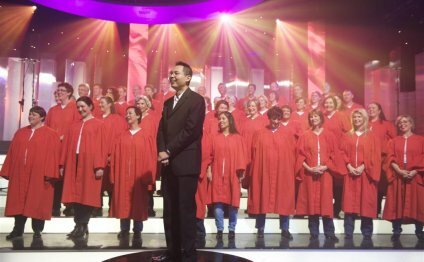 The Strange Weather Gospel choir rehearses for its Gala Concert 2007. Thank you for your interest in the Strange Weather Gospel Choir (SWGC). We are welcoming new members for all voice types in 2016 so please get in touch with us in order to and find out more. Entry to the choir is based on commitment. SGWC is a non-auditioned choir and anyone who enjoys singing, attends rehearsals as well as performances and has a willingness to practise and learn new music is welcomed, regardless of ability. We believe that anyone genuinely interested in making music can produce singing of an excellent standard if given the opportunity, proper training and support. The ability to read music or prior singing experience is not required; you can learn these skills along the way. Please see our visit a rehearsal page for 2016 Program Highlights and Performance Dates. Our members are people from all walks of life; young adults to retirees and the full spectrum of religious belief to non-belief. What unites our diverse members is not culture, gender, sexual orientation or faith but simply our love of singing together in a supportive environment. Send us your 'Expression of Interest' via our, which also gives you more information about fees for 2016. Groove in our performance shirts and scarves – very on trend!